This was a very interesting and thoughtful book. It opened my eyes to important period in Mexican history. I love the way that it jumped back and forth from the perspective of a leader like Santa Ana to the point of view of people who he affected the lives of, like an every day soldier or his wife or other politicians. My favorite sections were the letters from one soldier who served under Santa Ana revealing how difficult he could be. The book dragged at times. However, many times I laughed out loud while I was reading this book and ultimately I felt moved at the end. I recommend this book, and I would read another book by this author. The narrator was outstanding as well. 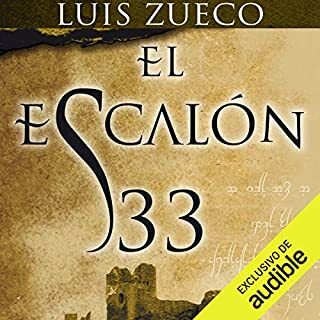 El escalón 33 es un audio libro que esconde sorprendentes enigmas. Siete castillos unidos por un vínculo secreto y un mensaje oculto esperando ser descifrado. Silvia, una gran apasionada de los libros, trabaja como restauradora en la Biblioteca Nacional de Madrid, pero está cansada de su rutinaria vida y desea que todo cambie. 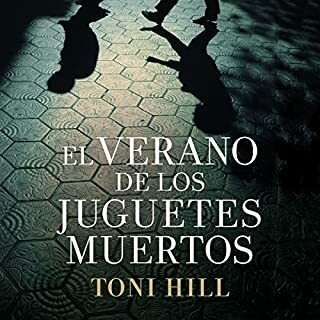 Una noche, descubre unos textos enigmáticos acompañados de unos símbolos extraños cuyos significados desconoce. ¿Qué ocultan esos símbolos? ¿A dónde nos llevaría la resolución de estos enigmas? This was a decent book, although the plot seemed a little random at times. For example the character hookups were hot, but didn't seem logical. There were multiple times when I found myself thinking, "why is that character doing that??" I did like the narrators (although they didn't always play at the same volume, which was annoying), the setting, and the historical details. 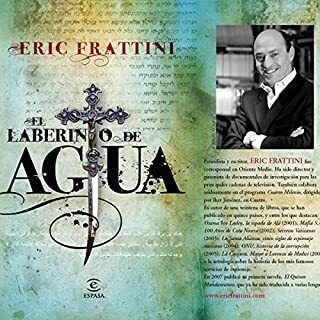 Me encantó este libro, tanto el libro como el narrador. 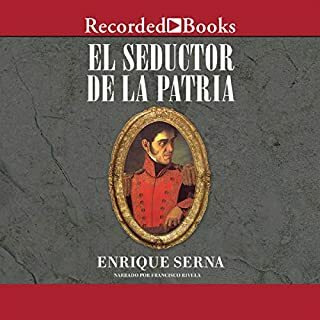 Es el mejor que encontrado en Audible desde q empecé a escuchar 6 meses atrás. Ojalá hubiesen más como este. This book has multiple readers. I'm not sure whether I like or don't like that... but I definitely don't like that the sound level varied widely for the different voices. I'd have the sound set at a certain level to hear the narrator, and then I'd have trouble hearing the voice of a specific character. You can't exactly change the volume for each different voice when you're driving. The plot of the book seemed interesting. Tres muertes inexplicables. Dos promesas de venganza. Una ciudad sofocante. Un policía busca la verdad.El inspector Héctor Salgado lleva semanas apartado del servicio cuando le asignan de manera extraoficial un caso delicado. La extraña muerte de un joven de la alta burguesía barcelonesa va complicándose a medida que Salgado se adentra en un mundo de privilegios y abusos de poder. I couldn't get into this book. 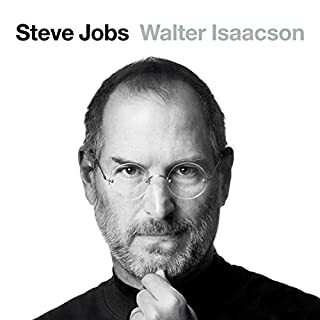 I just couldn't get into this book; it moved slowly, and the range of characters was confusing when listening to the book. Robert Langdon, el renombrado profesor de simbologia de la universidad de Harvard es convocado a un laboratorio de alta seguridad en Suiza para analizar un simbolo grabado con fuego en el pecho de un científico asesinado. Langdon descubre lo inimaginable, una venganza sangrienta contra la iglesia por una organizacion secreta, que existe desde los tiempos de Galileo, "Los Illuminati". 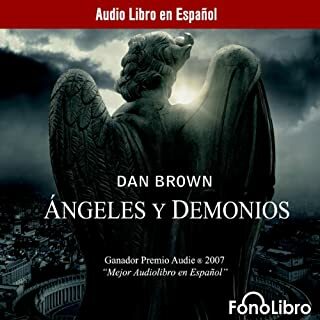 What did you love best about Angeles y Demonios [Angels and Demons]? This was an exciting and fun story; I really enjoyed the narrator. The narrator's voice when he was reading the part of the evil killer.